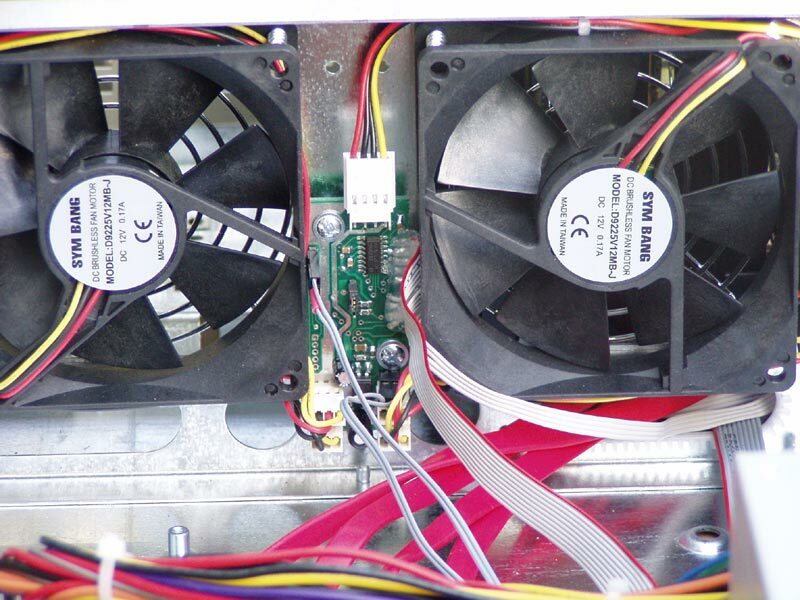 FanMagic®-is a hardware-firmware device that realizes a temperature-based automatic-fan-speed control. 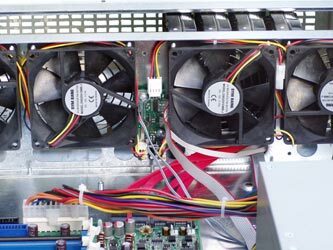 Reducing of the fan speed as the temperature drops minimizes the system acoustic noise, prolongs fans service life period, diminishes power consumption. 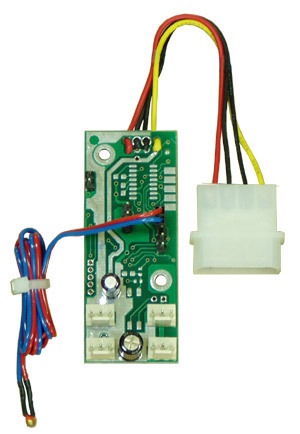 The controller assures early diagnostics of fan failures and increases reliability of hardware functioning due to the overall monitoring of cooling system and signalling in case of failures. The use of controller combined with the system with redundant cooling facilities allows to design fault-tolerant system with long-life performance. - serial line communication with computer via COM-port. - WatchDog timer (automatically restart the computer that is hung up). - up to 4 pcs. 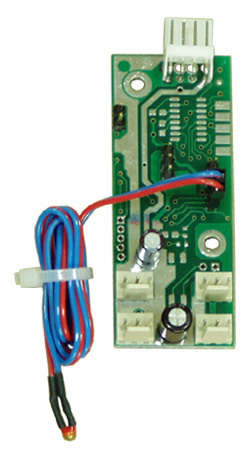 of 12VDC fans with 3-pin connector (3-rd wire is frequence generator - tachometer. Nominal rotation speed of fans from 1500 to 20000 RPM. - 4-pin connector to power from computer PSU. -Connection to computer COM port: fixed 9600bit/s, 8 bit, no parity, 1 stop bit operation. Timeout up to 76 sec. Galvanic isolation (optocouple) of contacts "reset"